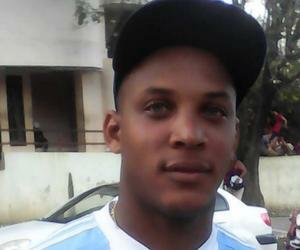 A young ETECSA lineman, who was identified as Yasiel Gómez Madera, died electrocuted in Pinar del Río. This was stated on Thursday by the company through a statement posted on its official Facebook page. The victim, who was 28 years old, lost his life in a work accident after he had "contact with a very high voltage electric shock," according to information released by the Cuban Telecommunications Company. The company sent a message of condolence to the family and friends of Yasiel Gómez. "Today is a sad day in ETECSA Pinar del Río, it is not possible to concentrate on work because of the pain that reigns in the environment after the loss, yesterday, of one of our linemen," the post said. Madera had been working for the company for three months, which highlighted his role in recovering from the damage caused by the recent tornado in Havana. The powerful meteorological phenomenon hit last January in several locations in the Cuban capital, in which there were strong destruction and landslides.